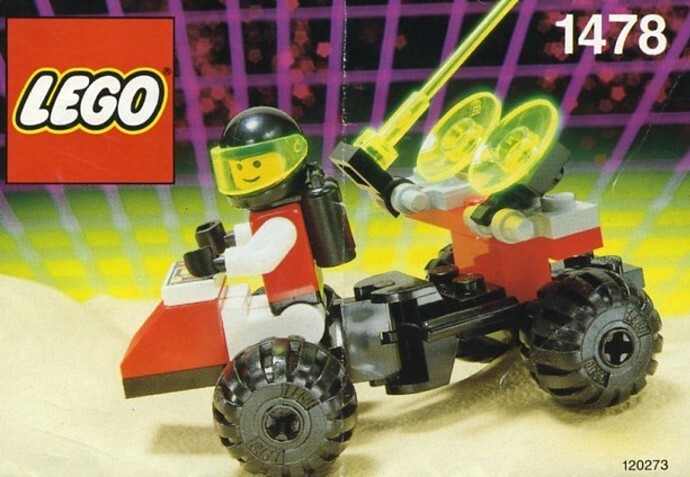 Today's random set is 1478 Mobile Satellite Up-Link, released in 1991. It's one of 13 Space sets produced that year. It contains 31 pieces and 1 minifig. It's owned by 1525 Brickset members. If you want to add it to your collection you might find it for sale at BrickLink or eBay. Transparent Yellow green elements?? Definitely. Sign me up. Those tyres are the best! Another one of those value pack sets that I absolutely loved. M-Tron always brings a smile to my face. This vehicle is adorable, even when it doesn't have any of the stellar magnets (since you probably wouldn't need magnets to up-link with satellites while mobilising)... I like the hinge and the wheels are cool. Nice, now that's an obscure one! I got this guy as part of a 5-in-1 sampler, #1476, with a BT2, castle, town, and pirate set. As a space guy, this was actually the least impressive of the 5. Still, gotta love M:Tron! As much as I love the Classic Space, some designs do look crude, sorry to say. Space theme was going into new colors, and to me, used to Classic ones, looked somehow strange and off. But I got one or two black and trans-yellow ones nonetheless. I like the M-tron theme! 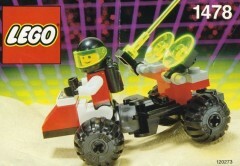 That might also have something to do with the fact it was released when I was a child and still into Lego at the time. Perhaps I wouldn't have liked it that much when it was released later. This was right in my wheelhouse. As above, I got this as part of the 5-pack and felt I was the luckiest kid in the world. Love the color palate! I wasn't into space as a kid, but themes like Blacktron and M-Tron make me wish I had been. My Mom got me this in a 5 pack waaay back when I was in college. She’s the best! MTron is awesome! M-Tron was great... A shame they haven't brought it back yet. Who wants to crack open an ice cold M-Cola with me? Ah, the US exclusive. Wonder why I've never seen this before and I was a die hard M-Tron fanboy.